With the deadline fast approaching, the Lakers have reportedly made a new and improved offer to the New Orleans Pelicans. According to ESPN NBA Insider Adrian Wojnarowski, Los Angeles has offered a trade package that includes multiple young players, multiple draft picks and salary cap relief for All-Star big man ​Anthony Davis. The new proposal should be more in line with the what the Pelicans are looking for, as it was previously reported that the Pels were underwhelmed by the Lakers' "lowball" offers. Last week, Los Angeles sent five separate offers to the Pelicans for Davis, one of which included Kyle Kuzma, Lonzo Ball, Rajon Rondo, Michael Beasley, and a No. 1 pick, according to ESPN. LA also reportedly made Brandon Ingram, Lance Stephenson, and center Ivica Zubac available in other proposals. We're just three days out from the Feb. 7 trade deadline, so talks between the two sides should continue to heat up as the date approaches. The Lakers are trying to strike while they are in pole position by snatching up Davis now and signing a third star for next season when they unload some of their expiring contracts. 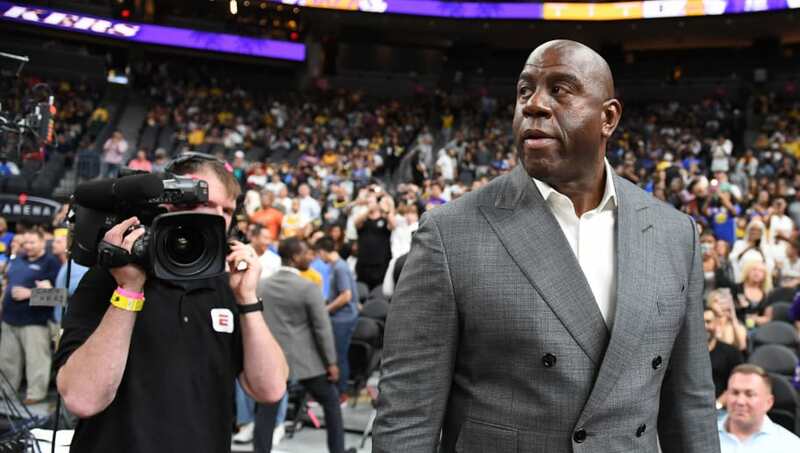 A pairing of superstar LeBron James with the 25-year-old Davis and potentially one of Kyrie Irving, ​Klay Thompson, or Kawhi Leonard would execute Magic Johnson's plan to a tee. We'll continue to keep you updated on the situation as new information leaks out.